I decided to read this book after seeing the trailer for the movie, which came out in February of this year. The story takes place in Gatlin County, South Carolina, where Ethan Wate lives with his father and housekeeper, Amma. 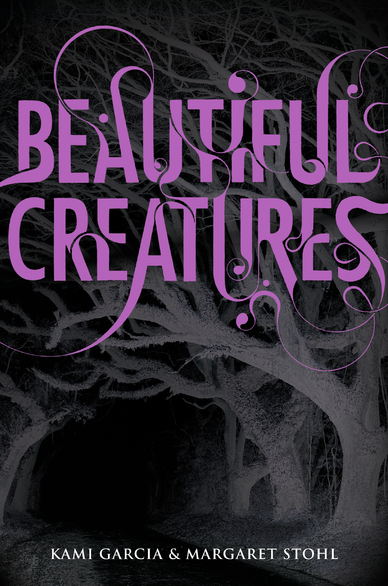 His life changes rapidly, when Lena Duchannes comes to town to live with her Uncle Macon, the town’s recluse. Readers are taken on a path of the metaphysical ranging from Casters to Incubuses all the while involving the history and mystery of Gatlin. 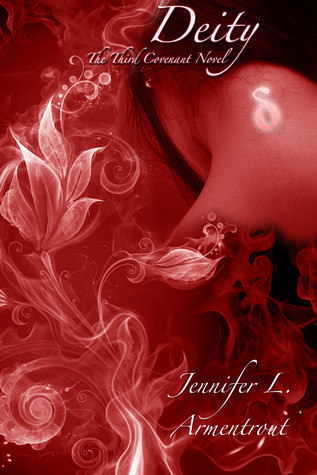 I found this first book to be a page turner and fascinating, and it definitely is more a young adult romance. However, the authors do an excellent job of developing the plot outside of the romance that keeps the readers engaged. Worth the read for your summer reading list! 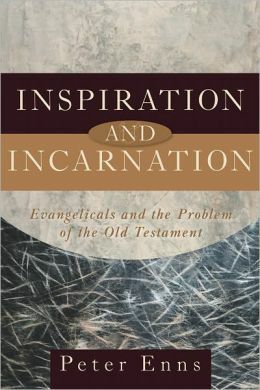 Old Testament scholar Peter Enns deals with three aspects of Old Testament studies in this book: (1) the relevance of ancient Near Eastern literature for understanding the Old Testament, (2) the diversity of theological views within the Old Testament itself, and (3) the way that the Old Testament is interpreted by the authors of the New Testament. Enns is concerned to ensure that the text of the OT is allowed to speak for itself and that OT scholarship is allowed to shape and impact doctrinal formulation. In order to do this we must have some understanding of the parallels between the OT and other ancient Near Eastern texts, grasping the particular aims and methods of ancient historiography as important context for understanding the aims and methods of the OT authors. We must wrestle with the diversity of theological perspectives amongst OT authors, avoiding a simplistic synthesizing and allowing this diversity to cultivate patience and humility in our attempts to arrive at interpretive conclusions. Finally, we must allow the seemingly odd methods of the New Testament authors in interpreting the OT to shape our understanding of how the OT should be used. For Enns, the best way to begin approaching the OT text on its own terms is by taking the doctrine of the Incarnation as a starting point, relating the nature of Scripture to the nature of Christ: “as Christ is both God and human, so is the Bible. In other words, we are to think of the Bible in the same way that Christians think about Jesus” (17). This allows us to take seriously the humanity and the contextualized nature of the OT without fear of dispensing with the OT’s status as an “inspired” text. I think that Enns does an excellent job of providing Bible readers with good conceptual tools with which to read well. As an experienced scholar writing for a more popular audience, he conveys the importance of engaging with the original contexts of ancient literature while still acknowledging that the modern reader’s own context does and should play its own part in the interpretive task. Enns is a scholar whose learning has cultivated a genuine sense of humility and generosity – essential characteristics for anyone seeking to read well, especially when significant cultural distance separates the reader from the text. Readers who follow Enns will find themselves better prepared to deal with the complexities of Scripture in a generous and patient way. Stuart Little is a funny combination of the childlike and the adult. A child born to human parents living in New York, Stuart is “not much bigger than a mouse,” and in fact looks “very much like a mouse in every way.” His small size means that he experiences many of the frustrations that children have to put up with, always longing for the day that they will be “big.” Also, Stuart’s odd position of being, let’s say “mouse-like,” in a family of humans surely resonates with children who feel out of place for one reason or another. Yet Stuart also has the maturity and perspective of an adult. He traverses New York streets by himself (not without mishap of course!) and eventually sets out on his own, heading north in search of his bird-friend Margalo. On this trip in his miniature car, he finds himself stopping along the way to act as substitute teacher (giving the children an impromptu lesson the nature of law) and to court a girl of his own size (with disastrous results). 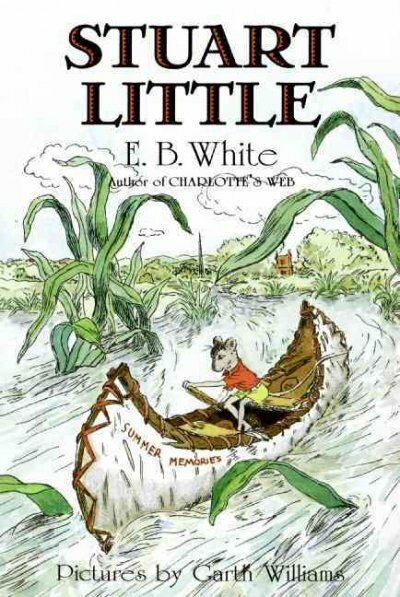 Children who read Stuart Little (or have it read to them) will encounter a character who faces challenges that they can identify with. At the same time, Stuart provides children with a window into what it might look like to be an adult, to be able to set off on their own and do the things that they aren’t yet “big enough” to do. Of course, it works the other way as well – adults will be reminded of the challenges and hopes that make up the life of a child. Stuart reminds those of us who are “big” now that life should never lose the adventurous quality that comes so much more naturally to children. One of my favorite aspects of E. B. White’s children’s books is the way that he describes the changing of the seasons, allowing turns in the weather to reflect turning points in the story. It is also fascinating to see White’s depictions of the streets and parks of New York in the mid-1940s from the perspective of a mouse – sorry, from a mouse-like perspective. As I read this to my daughter, she got caught up in the suspense as the Little’s family cat Snowbell plotted against Stuart. She also got excited hearing the account of Stuart captaining of the toy sailboat in the race at the park. All told, this is a story best enjoyed by children and adults together. This is a wonderful short biography of the great Russian novelist. 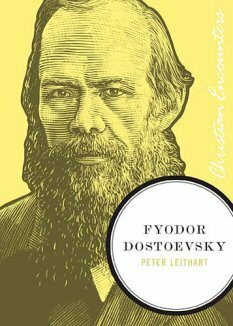 Leithart’s account of Dostoevsky’s life takes a narrative form, complete with dialogue – some of it imagined, but most of it pieced together directly from journals, letters, and reported conversations with friends and family. The framework for the story is a fictional conversation between Dostoevsky and his friend Apollon Maikov, the Russian poet. The two friends reminisce about the major inspirations and events of Dostoevsky’s life, flashing back to scenes of his childhood experiences with Russian peasants, early involvement in socially radical literary groups, imprisonment in Siberia, financial troubles, and domestic life. Leithart has drawn heavily and effectively from Joseph Frank’s definitive biographical work on Dostoevsky in order to tell a story which captures the major themes of the writer’s life and work. He has focused on Dostoevsky’s understanding of Christianity, showing how his faith and his national identity shaped his writings. Leithart definitely accomplishes one of the major goals of any literary biography – to give readers cause to turn back to a writer’s work with a greater capacity for appreciation and enjoyment. This book will serve as a wonderful and extremely readable introduction to those who have never tackled Dostoevsky, in addition to providing a helpful context to anyone who has already encountered classics like Crime and Punishment, The Brothers Karamazov, or Notes from Underground. 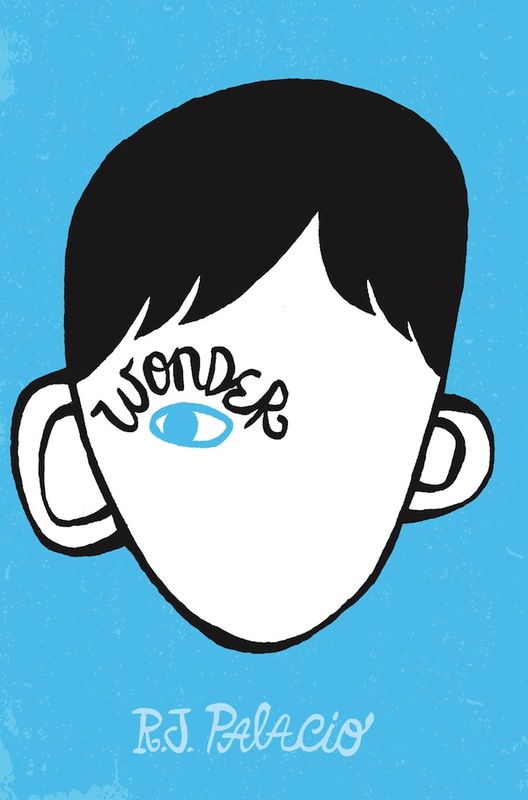 Wonder is the heartwarming story of August, a 10-year old boy who doesn’t look like the other kids. He was born with a condition that severely altered his face, and even after several surgeries, people stare at him. After being homeschooled his entire life, August is about to begin fifth grade in a regular school. He meets challenges along the way, but with a loving family, a few supportive friends, and a good sense of humor, he prevails. Although written for kids 8 and up, this is a great story/lesson for any age. The winner of several children’s book awards in 2012, I highly recommend it. The second year at Hogwarts is filled with even more mystery and trouble for Harry, Hermione, and Ron. Harry starts off the school year with a cryptic message from Dobby the house elf and strange things continue to happen throughout the year. But it isn’t until the warning that the Chamber of Secrets has been opened that the school year takes a dangerous turn. Now muggle born wizards are being attacked and if the Chamber isn’t closed for good soon, Hogwarts will close its doors forever. 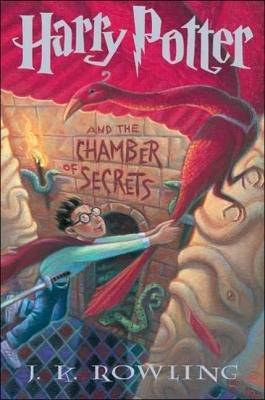 Here’s my confession, out of all the Harry Potter books, the second one is my least favorite. Only because I never saw how much it added onto Harry’s story like the others books did. But after rereading it, the second book is probably the most connected to the seventh book, especially at the end. You see the moment Dumbledore realizes how Voldemort is surviving through using Horcruxes and gives the reader the first clue that Harry might be a Horcrux. But of course the reader wouldn’t realize the moment until they even learn what a Horcrux is which might explain why the second book’s importance is hidden for so long. You can also check out the reviews from Julia and Theresa. Alex returns to the Covenant trying to get back to her regular routine but with her Awakening in a few short months, it’s hard to concentrate on anything else. Well, besides her feelings for Aiden, covering up killing a pure blood, and figuring out why Seth is acting so strange. Alex believes that she got to know the real Seth when they were in New York, but lately Alex’s instincts are telling her Seth isn’t being truthful with her. Seth seems to be bringing out the marks on the Apollyon on Alex on purpose to get Alex to Awaken faster but she wants to put it off for as long as possible. She isn’t ready to lose control of herself. The third book in the Covenant series did not disappoint. Every time I start thinking that the plot is getting a little slow, Armentrout starts pulling out new developments and revealing new information that makes me think I was crazy to consider it was a slow read. I love the character build up, especially with Seth. After the second book I really liked Seth which just made me even more disappointed when I saw him change and become blinded by his potential power. Armentrout was smart to have the second book focused on Seth so that the reader will feel compassion for Alex when she is making difficult decisions about him.